A strong economy, bolstered by tax cuts and other pro-business policy shifts, gave a helping hand to real estate throughout the city. 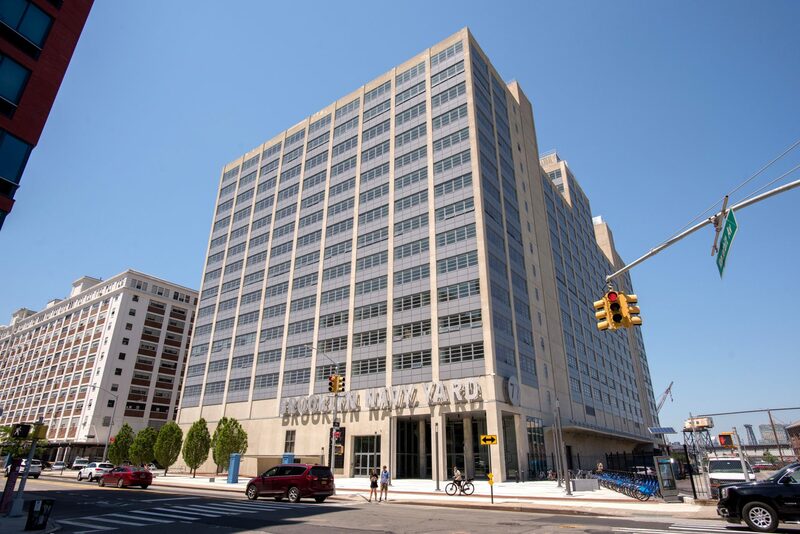 The Brooklyn Navy Yard certainly felt possessed by the animal spirits as it capped off another strong year of leasing, filling up close to half a million square feet as its newly-renovated Building 77 nears full occupancy. The Brooklyn Navy Yard Development Corporation, the city-owned enterprise that controls the once-dilapidated industrial hub, signed 57 leases in 2018 for a total of 480,000 s/f and a total of 883 jobs. Of those contracts, 19 represent new tenants. “This continues the progress that we’ve been making over the last bunch of years,” David Ehrenberg, president and CEO of the Navy Yard, said. “It represents more jobs and companies in the growing high-end, high-tech manufacturing industry. Deals excuted this year include a 4,000 s/f lease for jewelry-maker Rebel Designs; 10,000 s/f for Maribelle New York Chocolates and 13,400 s/f for Revivn, a tech hardware manufacturer, all in Building 77, the 1.1 million s/f, World War II-era office building that recently underwent a $185 million renovation. The building is now 85 percent leased. Ehrenberg said the BNYDC focuses its leasing efforts on companies that will provide quality jobs that are accessible to local residents. In addition to its new addition, Ehrenberg said the Navy Yard has also seen existing companies expand their operations, outfits such as Duggal Visual Solutions, which is expected to add another 75 employees. Ehrenberg hopes to continue the expansion efforts at the Navy Yard next year when leasing at Dock 72—an office development by Rudin Management and Boston Properties opened this fall—get underway. Also on the horizon is Admirals Row, which will house a light manufacturing building developed by Steiner NYC and a Wegmans; the Green Manufacturing Center and an expanded Steiner Studios. With all that new space coming to the market, Ehrenberg said he feels good about the Navy Yard’s prospects, even if the economy at large cools off.